A cinco de mayo celebration in April? Yes, on Tuesday, April 30, Families in Transition-New Horizons (FIT-NH) will sunset its long-standing cinco de mayo celebration fundraising event. The FIT-NH cinco de mayo celebration has been in existence for over 10 years and is one of the major fundraisers the organization hosts each year. Next year, the event will be replaced by an enhanced Empty Bowls event. The FIT-NH cinco de mayo celebration is on Tuesday, April 30, from 5:30 p.m. to 9 p.m. at the Double Tree by Hilton in Manchester, NH. Tickets can be purchased on line at https://support.fitnh.org/cinco. Sponsors for the event include: Spectrum Marketing Companies, Comcast, INSP, COOK, LITTLE, ROSENBLATT & MANSON, pllc, Cross Insurance, Davis Towle Insurance Group, Eastern Bank, Great NH Restaurants, 95.7 WZID, Intown Manchester, NH Healthy Families, People’s United Bank, and Philadelphia Insurance. 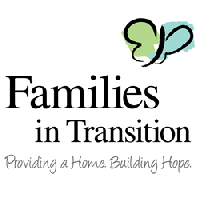 Families in Transition-New Horizons is a New Hampshire based not-for-profit organization that provides hunger relief, emergency shelter, safe affordable housing, and supportive services to individuals and families who are homeless or in need, enabling them to gain self-sufficiency and respect. For more information about FIT-NH and the event, visit http://www.fitnh.org or http://www.newhorizonsnh.orgor call 603-641-9441. ClubUp, a North Carolina based software and service company that caters to golf clubs operating caddie programs, has announced expansion into Chicago, IL. ClubUp technology will help facilitate the caddie programs at Medinah Country Club and Onwentsia Club. “Our entire committee was really impressed with what ClubUp had to offer. It is very important to me and to Medinah that we give our young boys and girls not only a great summer opportunity, but also give them the freedom to enjoy their summer as well. ClubUp allows us to give that.” – Marty DeAngelo, Director of Golf at Medinah Country Club. ClubUp provides innovative services which help improve the caddie experience for the members and caddies at its partner clubs. Additionally, ClubUp technology offers clubs a way to communicate with and pay caddies working as independent contractors on the property. The improved communication, efficient logistics and cashless payment options provided by ClubUp yield significant productivity improvements for caddies and club operations. ClubUp operates in North Carolina, Georgia, Arizona, Virginia, and Florida. In addition to a corporate partnership with the Metropolitan Golf Association in New York, the company also has a national partnership with The First Tee. The ClubUp Board of Directors includes company founder Matthew Rose, as well as leaders in the golf industry including Seth Waugh, Scott Mahoney and Ken Thompson. “Chicago is one of the most important caddie markets in the country. The opportunity to work together with clubs like Medinah and Onwentsia is something that we are all very excited about. We hope to use these new relationships to grow in the Midwest in 2019 and beyond.” Rose said. About ClubUp: ClubUp is a technology company that partners with golf clubs which have existing caddie programs as well as clubs looking to start their own caddie program. Using the ClubUp platform, golf clubs can easily request and arrange caddie services, leveraging technology to improve efficiencies in their caddie program. ClubUp works closely with outside services staff to tailor the system to ensure it is a great fit for each facility. The 2019 Prayer Breakfast for Greater St. Louis will be held this year on Wed, April 17, the event has a rich history and is a long-standing tradition in St. Louis. This is a special time for the community to come together for a common purpose – to ask God to guide our leaders and help them make decisions that honor Him. The Prayer Breakfast has been a life-changing event for many, as we present a message of hope – one that we believe to be the best news in life. We are excited to announce that Chad Robichaux will be this year's special guest, he's a dynamic speaker with a warrior’s testimony of victory in Christ through personal challenge and struggle. His story is sure to be inspiring. Your support and participation will help make this event a rousing success and a continuing tradition in the St. Louis community. Chad Robichaux is a former Force Reconnaissance Marine and Department of Defense Contractor with eight deployments to Afghanistan with a Joint Special Operations Command (JSOC) Task Force. Chad also served as a United States federal agent and law enforcement officer where he earned the Medal of Valor. He is an accomplished mixed martial arts champion with an 18-2 professional record, competing in some of the sports’ highest-level events. Chad is the president and founder of Mighty Oaks Foundation. The faith-based military nonprofit is dedicated to helping America’s military warriors and their families suffering from the unseen wounds of combat such as Post Traumatic Stress Disorder. Chad has written a bestselling book on the subject and has been featured on such media outlets as Fox News, Forbes, The O’Reilly Factor, USA Today, Christian Post, Focus on the Family, and a short biography film produced by I Am Second. He and his wife, Kathy, have been married 23 years and have three children; their family has personal experience with the challenges of PTSD. We are very excited to have Chad with us as we celebrate 42 years of tradition! We look forward to seeing you at America’s Center on April 17th! Invite friends and colleagues to join us. Reserve your table today! Ballroom doors open 7 AM – program begins 7:30 AM. Synchrony and Find Truck Service have introduced an owner-operator financing solution that is available through the Find Truck Service credit card program on the Synchrony Car Care consumer financing program. The new financing option allows owner-operators to purchase new tires, parts and necessary truck services, when needed, without the worry of large out-of-pocket payments. Owner-operators can learn more about financing options on the Find Truck Service Truck Repair Financing page. Qualified cardholders enjoy an everyday value proposition of 6 months special financing on purchases of 9 or more. Also, as part of Synchrony Car Care, Find Truck Service cardholders can take advantage of additional benefits, including using their card at over 500,000 truck and auto parts/service locations nationwide. Find Truck Service® is a leading national directory of heavy-duty service, parts and related trucking locations to trucking industry owner-operators and carriers. The Find Truck Service online search helps users locate the nearest heavy-duty vendors to better and faster manage equipment breakdowns, repairs and maintenance nationwide. Synchrony is a premier consumer financial services company delivering customized financing programs across key industries including retail, health, auto, travel and home, along with award-winning consumer banking products. With more than 0 billion in sales financed and 80.3 million active accounts, Synchrony brings deep industry expertise, actionable data insights, innovative solutions and differentiated digital experiences to improve the success of every business we serve and the quality of each life we touch. More information can be found at http://www.synchrony.comand through Twitter: @Synchrony. Enterprise Management Associates (EMA), a leading IT and data management research and consulting firm, today announced it will host a research webinar titled “Automation, AI, and Analytics: Reinventing ITSM,” featuring Dennis Drogseth, vice president of research, IT megatrends, analytics, and CMDB systems at EMA, and Valerie O'Connell, research director of IT service and business management at EMA. According to new research from EMA, automation, AI, and predictive analytics are redefining ITSM’s role in business innovation, services, and organizational reinvention. Although game changing, these advances are not free of challenge. Technological complexity, functional understanding, budget prioritization, and organizational resistance all exert a drag on adoption. EMA conducted global research with 400 executives and ITSM shareholders to provide actionable understanding of the appetite, adoption, maturity, and near-term plans for these technologies and their transformational impact on ITSM. Current adoption patterns of automation, AI, and analytics: What is the buying process, ownership, best practices, and success rates/factors? Use cases: What use cases are most compelling now and in the near future? Who currently owns the budget, headcount, and processes, and how is that changing? ESM: What role does ESM play in adoption for both automation and AI/analytics? How extensive is ESM deployment today and how does it impact the broader organization, as well as ITSM? Drivers and benefits achieved: Who and what forces are driving adoption and innovation? What are the obstacles and recommendations? Is there a difference between anticipated and actual results? Founded in 1996, EMA is a leading industry analyst firm that specializes in providing deep insight across the full spectrum of IT and data management technologies. EMA analysts leverage a unique combination of practical experience, insight into industry best practices and in-depth knowledge of current and planned vendor solutions to help their clients achieve their goals. Learn more about EMA research, analysis and consulting services for enterprise line of business users, IT professionals and IT vendors at http://www.enterprisemanagement.com. After twelve years as the premier innovator in leadership and management training and development, the Perceptum Group announces the first release of its proprietary "Perceptum Transformational Learning System® (PTLS®)" based in the modern neurobiology of learning, neuroplasticity induction, the amplification of self-awareness and confidence, and evolving goals to achieve career and business success. "The brain is not a hard drive, it is the single most dynamic organ in nature. It functions best and accomplishes most by constantly redefining and upgrading goals to synergize the user's emotional intelligence, cognitive knowledge and skill/abilities -- real success is not zero-sum competition, nor is it defined by artificial external norms. Humans did not evolve to solve a problem, they evolved to solve every problem. Real leaders face new choices, make certain decisions, and always do the right thing even when it seems risky and uncertain at first. The brain is wired to face the unknown undaunted. Why in the world would we teach anyone to fight against their best nature? PTLS® maximizes innate potential." says Michael Dunphy, Ph.D. Perceptum Managing Partner. PTLS® will be made available to clients on a case by case basis, per a fully customized client-centric curriculum involving a carefully crafted menu of optimized and relevant content, whole-brain learning tactics, and modern learning platforms. 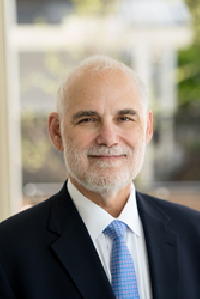 "Twelve years as Perceptum and a lifetime of research, innovation, and evaluation, that's what my partners and I bring to PTLS®, "says James Thein, Perceptum Founding Partner, "the complexities of who and what we are as human beings and as contributors in society, are the drivers for our novel and effective learning paradigms. We literally reset brain coding to insure your people and your business experience success like never before." A memory is not just a retrieved piece of data, it's like a fingerprint, in that a memory is inherently shaped by who we are and our experiences. So learning, that is whole brain-based, in essence creates integrated fingerprints that are clear, synergized and functional. The Perceptum Transformational Learning System® enables leaders, managers and people to productively transform attitude, confidence, motivation and level of engagement when applying new knowledge and skills to help their organizations and cultures upgrade for greater success. Perceptum's website features the PTLS® introductory information, at http://www.perceptumgroup.com. Perceptum lives in San Francisco, California, but its clients are worldwide and service is available 24/7. Contact Perceptum online, at LinkedIn, Twitter, and Medium, or call 415.596.0337. 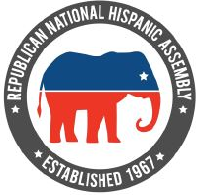 Republican National Hispanic Assembly Elects New Board Members and Grows its National Leadership Team. The Board provides the organizational leadership required to carry out the mission. They promote the fundamental principles and values of republicanism throughout the Hispanic American community in the United States. The National Finance Chairman will be Julio Gonzalez, who is the Chief Executive Officer of Engineered Tax Services, Inc., a nationally licensed engineering firm headquartered in West Palm Beach, Florida with 15 offices nationwide and over 140 employees and consultants. ETS works with many of the Top 100 CPA firms and Fortune 500 companies nationwide. Julio is a well-respected leader in his field, as well as in the tax reform world. Amongst many of his talents, Julio has an extensive track record of speaking at national events on topics such as cost segregation, historic tax credits, opportunity zone, research and development, and emerging tax programs. The RNHA is an American political organization founded in 1967 that was formally recognized by the RNC a few years later. Its purpose is to develop and effectively educate a strong Republican Hispanic constituency throughout the nation. The participation of citizens of Hispanic heritage in the American political process and the Republican Party is critical; we encourage able and qualified Americans who are registered Republican voters, to seek office at all levels of government. RoosterBio, Inc, a leading supplier of innovative human Mesenchymal Stem/Stromal Cell (hMSC) biomanufacturing systems, will attend the Society for Biomaterials Annual Meeting & Exposition on April 3-6, 2019 in Seattle, Washington. RoosterBio Scientist Josephine Lembong, PhD will present a poster at the conference titled, ‘Scalable Xeno-Free Microcarrier-based Suspension Bioreactor System for Biomanufacturing of Human Mesenchymal Stem/Stromal Cells (hMSCs) for Regenerative Medicine’ (#1067). Poster Sessions will be held on Thursday, April 4, 2019 from 6:30pm to 8:00pm and Friday, April 5, 2019 from 3:45pm to 5:15pm. Additional meeting details can be located on the conference website at http://www.2019.biomaterials.org. RoosterBio, Inc. is a privately held cell manufacturing platform technology company focused on accelerating the development of a sustainable regenerative medicine industry, one customer at a time. RoosterBio's products are high-volume, affordable, and well-characterized adult human mesenchymal stem/stromal cells (hMSCs) paired with highly engineered media systems. RoosterBio has simplified and standardized how stem cells are purchased, expanded, and used in development, leading to marked time and costs savings for customers. RoosterBio's innovative products are ushering in a new era of productivity and standardization into the field, accelerating the road to discovery in Regenerative Medicine. For more information on RoosterBio, please visit http://www.roosterbio.com. Extreme Energy Solutions, the parent company of Extreme Kleaner, was able to come to agreement with distribution and marketing partner, ExtremeKleanerMX S.A. de C.V., to expand the market reach of the popular non-toxic, biodegradable multi-purpose cleaner-degreaser into Mexico and other Latin American countries, thus making Extreme Kleaner a recognized international brand. ExtremeKleanerMX S.A. de C.V. (ExtremeKleaner MX) is located in Saltillo, Coahuila, Mexico, and is led by Cole Wilson and executive team. ExtremeKleaner MX had focused on test markets with selected commercial and industrials trial clients where feedback and data was collected about the effectiveness of Extreme Kleaner. Trial test results revealed positive commentary, and demand for the green cleaner took off from there. “The ExtremeKleanerMX team is excited to introduce the Extreme Kleaner family of products to Mexico’s Markets. Commercial trials have exceeded our customers’ expectations, and with environmentally friendly products rapidly gaining popularity in Mexico, we expect our retail presence to expand quickly,” shared Wilson. Extreme Kleaner has rapidly built a consumer following in the US, and has been building upon its grass roots beginnings to reach every corner of Main Street USA. In the short few years Extreme Kleaner has been on the market, it has expanded its availability at over 500+ retailer locations stateside, become an official partner of Daytona International Speedway and the Daytona 500, and a sponsor of the ARCA Menards Series. Extreme Kleaner began to make an international presence when it partnered with Orgill Distributors, who provides goods to hardware, auto parts, grocery, and variety stores in Canada, Mexico, US, and international island nations. First international exposure came when stores located on international island nations became some of the first adopters of Extreme Kleaner in the Orgill network. Product is now available in Mexico via ExtremeKleanerMX which has an exclusive ability to build up the market in Mexico beyond Extreme Energy Solutions’ original foundation. Those seeking the product in Mexico should contact ExtremeKleanerMX. “We also appreciate the collaborative efforts ExtremeKleanerMX and their team put into the entire process of preparing the actual product for Mexico. This included translation of the label from English to Spanish, compliance approvals, and even an entire new marketing strategy that best connects consumers in Mexico to the Extreme Kleaner brand,” concluded Burlum. Extreme Kleaner is made in the USA, and dedicates a portion of its sales to assisting Veterans and their families in need. Extreme Kleaner began as a small regional brand in the northeast, offering its product locally at farmer’s markets and online in 2012. After a complete rebranding exercise, Extreme Kleaner became adopted by larger co-op groups and retailers. Extreme KleanerMX is dedicated to offering Extreme Kleaner to commercial and industrial clients, and to consumers through retailers and local merchants. Extreme Kleaner is available in a 32 ounce spray bottle and in gallon size containers. SEOHost.net, a provider of SEO hosting, domain registration, and SSL services, today issued a statement about the importance of a website’s E-A-T score in 2019. First introduced as a concept by Google itself, E-A-T stands for Expertise, Authority, and Trustworthiness. Expertise measures the level of skill a website and its creators have in their field and is critical for B2B organizations and businesses working in industries like medicine or finance. Authority is tied to credentials and reviews, both of which serve to validate expertise. Finally, Trustworthiness is based on the website’s hosting platform, as well as factors like SSL certificates or the presence of HTTPS. Cane advises working hard to seek out and promote positive, verified reviews, and to engage in outreach with influencers through channels such as Twitter, Facebook, and LinkedIn. The more relevant, high-quality links, shares, and interactions a website receives, the likelier Google is to take notice and flag it as authoritative. In regards to Trustworthiness, Cane says that it’s more of an attitude than anything. Cane went on to assert that SEOHost.net is dedicated to helping its clientele with every aspect of search engine optimization, including their E-A-T score. Building on years of successful collaboration, Accent Technologiescan now officially offer European customers of their sales enablement platform local customer service managers from Strategy to Revenue, an award-winning sales enablement consultancy. Accent is a recognized as a leading sales enablement platform and was listed in Gartner’s Hype Cycle for CRM Sales, 2018. Its AI-driven sales enablement platform, CRM Supercharger, provides real-time insights to improve sales productivity and profitability. It ensures sales reps focus on high-value selling activities and automatically serves-up the right resources and tips for each stage of the buying cycle. The Accent platform can now be supplemented with professional services from Strategy to Revenue. Professional services include working with customers to architect a standard sales model that aligns customers’ business goals to Accent’s CRM Supercharger AI engine. Ongoing evaluation of the standard model ensures that sales people get the correct training and insights to close the right types of deal for optimum performance gains. By intelligently re-calibrating the standard model and revising behavioral, content and learning recommendations professional services can optimize selling time and outcomes. Strategy to Revenue also offers a multi-award-winning continuous learning framework that delivers in-the-field sales coaching and training to improve information and skill retention and selling time. Strategy to Revenue’s sales improvement programs are used by the likes of DHL, Motorola, HPE and SAP. Its sales improvement content is endorsed by the Association of Professional Sales. Accent has been a global technology leader in sales enablement software since 2003. The SaaS company helps sales teams sharpen execution and improve sales productivity by leveraging artificial intelligence to maximize sales performance and create unprecedented visibility and insights for marketing and sales leadership. Their sales enablement solution is one of the most comprehensive in the market offering sales content management, guided selling, performance management and deep analytics. Headquartered in Melbourne, Florida, Accent's products are used by companies in over 100 countries. They are committed to understanding each client’s unique business case and providing the best solution to meet their sales enablement goals. It supports integrations with: Salesforce, Microsoft Dynamics CRM, Microsoft SharePoint, Google Drive, Dropbox, Box, HubSpot, Marketo, Oracle (Eloqua, Sales Cloud), SAP CRM. Strategy to Revenue is an award-winning sales enablement consultancy with offices in Europe and the USA. It works with organizations to unleash the full potential of sales teams, significantly improving their commercial performance, transforming their businesses and accelerating the time it takes to turn their strategy to revenue. Clients include DHL, Refinitiv, Thomson Reuters, HPE, Motorola and SAP. The AACR annual conference pulls together a diverse group of clinical and laboratory researchers and is a great opportunity to see the most cutting-edge cancer research. The Visikol team will be at the show at booth #3252 and will be highlighting their work with 3D cell culture assays as well as their digital pathology services. “For AACR this year we are highlighting specifically our immuno-oncology focused services as this is an area in which we assisted many of our Clients this past year. The combination of our advanced imaging tools with our 3Screen™ image analysis software and 3D in vitro assay services has allowed us to address complex research questions in this space that are challenging to address with traditional techniques,” explained Visikol CSO Dr. Thomas Villani. In 2018, Visikol launched its immune cell infiltration assay which leverages 3D tumor spheroids as well as Visikol’s proprietary imaging technologies to provide a medium-throughput in vitro assay to assess pharmacokinetics in highly relevant in vitro models. Additionally, Visikol has developed several digital pathology tools for quantifying cancer specific endpoints from H&E and IHC slides such as tumor area or T cell penetration depth. “We are working closely with our Clients to extract not only more data from tissues and 3D cell culture models, but also to transform this data into meaningful insights that can be used in clinical studies to stratify patients for treatment or in earlier studies to quantitatively assess efficacy,” described Visikol Director of Imaging Dr. Graeme Gardner. To discuss your next in vitro or pathology project with Visikol, stop by and connect with the team at booth 3252. Visikol is a CRO focused on advanced drug discovery that is leading the field of bio-imaging, bioinformatics and image analysis. We conduct end-to-end drug discovery services that include both 2D and 3D in vitro models and assays, 3D whole mount tissue imaging, digital pathology and custom drug discovery projects. Visikol offers a portfolio of drug discovery services ranging from 2D and 3D cell culture model and assay development to in vitro screening, animal tissue histology and automated image processing. The focus of these services is to transform tissues into images and ultimately into quantitative data sets that can be mined for actionable insights that help our Clients make more informed decisions during the drug discovery process. Additionally, Visikol manufactures and sells a suite of tissue clearing reagents and 3D immuno-labeling kits. These products allow researchers to easily and rapidly image whole tissues and 3D cell culture models in 3D instead of traditional 2D sectioning. For more information about Visikol or its services, please visit our website at visikol.com. 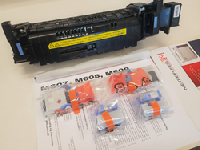 Laser printer parts manufacturer Metrofuser (http://www.metrofuser.com) has introduced printer fusers and maintenance kits for HP LaserJet Enterprise M607, M608 M609 printers. The availability of these fusers will help reduce costs and increase profitability for the company’s nationwide customer base. Metrofuser provides two options to acquire these printer fusers - by economical repair and return or by convenient advance exchange service. Metrofuser stocks the M607 series printer fusers, part number RM1-1256, L0H24A L0H24-67901. They are ready for same day shipping. Metrofuser's fusers and maintenance kits for HP Printers offer brilliant crisp black and white output and guaranteed against all image defects. “Reliable parts solutions are in high demand with the advent of more feature-rich printers in the marketplace," stated Eric Katz, Co-President, "Our customers require the most precise imaging technology in this demanding market and our R&D team has devised a solution for the M607 series fuser,” adding that, "Our printer fusers hold up to the most demanding conditions offering unequaled durability - these fusers work flawlessly with OEM and compatible toners." The introduction of these HP fusers to Metrofuser’s product line represents a continued commitment to invest in R&D. Katz reiterates "Metrofuser's priority is to develop best-in-class repair and remanufacturing procedures along with rigid performance testing that enables us to deliver replacement parts that are unequaled in reliability and quality." Metrofuser is a leading global innovator, manufacturer of printer parts, equipment, diagnostics, repair information and systems solutions for professional users performing critical tasks. Products and services include HP printer parts, printers and printer repair training. Parts include HP printer parts such as printer fusers, printer maintenance kits and other printer replacement parts. The company's, customers include office equipment dealerships, online retailers, repair centers and MPS service providers nationwide. Metrofuser has been named to Inc. Magazine’s fastest growing companies five consecutive years. Taylored Services, LLC has been named a Multichannel Merchant Top 3PL for 2019, and included it in a listing of leading third-party logistics providers selected by the editors of Multichannel Merchant. Given the explosion of ecommerce and the increasing number of 3PLs in the marketplace, Multichannel Merchant has created this unique resource to vet 3PL providers as a value-added service for its audience. The online resource is a searchable directory for merchants looking for a qualified 3PL. The company profiles in the MCM Top 3PL listing include vital information to help merchants in their selection process, including key capabilities, average annual client order volume, top merchandise categories handled, facility locations and more. “As our customers grow their online, direct-to-consumer business, Taylored Services continually adapts to this changing reality. This includes investment in systems and technology, facility layouts, and customer service to support their speed to market needs,” says Brian Southwell, Vice President of Business Development. You can view the complete MCM Top 3PL listing here. Multichannel Merchant reaches key decision makers responsible for ecommerce, management, marketing and operations at companies that sell merchandise through multiple channels — including ecommerce, mobile, social, and catalog. Multichannel Merchant delivers original research, as well as in-depth analysis of trends and best practices, news, tactical/how-to, executive summaries, technology and supplier comparisons, tip sheets and resource information to help companies sell & deliver products wherever and whenever the customer wants them – at home, work, store or other locations. Taylored Fulfillment Services. Since our humble beginnings in New Jersey in 1992, Taylored Services has grown to become a national leader in distribution, fulfillment and warehousing. We have achieved this status by providing the services our clients need when and where they need them. Our distribution centers are located near the nation’s busiest ports of Los Angeles, Long Beach and New York. We work with a diversified client base including wholesalers, manufacturers and retailers and our expertise extends to multiple brand and accessory categories. Taylored Services continually invests in systems and technology to insure that we stay ahead of the requirements placed on our customers. Our warehouse management systems are ready to receive orders from the industry’s most powerful ecommerce platforms. By leveraging a unique combination of people and technology, our customized approach accurately aligns your organization’s multi-channel support with the high expectations of today’s marketplace. Taylored Services is a strategic eCommerce logistics partner that has embraced the need to satisfy our clients OMNI-Channel fulfillment requirements. In today’s marketplace, the direct to consumer experience is a growing and time critical component of our clients business. Whether eCommerce is your business, or is just a small, growing piece of your brand, Taylored Services is ready to take your business to the next level. HarkinsHill, LLC., the developer behind the automated sales closing app/system, Closing Commander™, has expanded the app’s email compatibility to include Gsuite, Gmail, Outlook, Yahoo, and other major email providers. That’s good news for service business owners and their teams, who rely on, not just a new system’s effectiveness and time-saving abilities, but also its ability to seamlessly fit with their current business systems. The app/system is designed to save service business owners and their teams time and effort by automatically sending follow-up emails to customers once an initial bid, quote, or estimate is provided. The app relies on tested timing and the marketing Rule of Seven to ensure effectiveness, although timing between emails and email body content can be customized to fit the company’s needs and brand. Some companies using the app have seen six-figure revenue increases within just a few short months. Closing Commander won the “Best New Product Innovation Award” from The Pete Luter Foundation in 2018 and the “Top Four Innovation Showcase Award” at this year’s Service World Expo in Las Vegas. 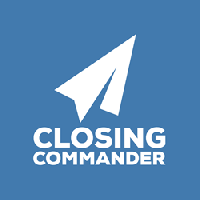 Business owners interested in learning more about the app, scheduling a demo, or signing up for a free trial are encouraged to visit closingcommander.com. HarkinsHill,LLC is the parent company of Closing Commander and Spark Marketer, a Nashville-based digital marketing company that primarily serves blue collar businesses. While the Closing Commander app certainly has uses in other industries, the company’s passion and mission remains to strengthen blue collar businesses around the globe. For companies that want to do pre-certification testing for Visa transactions, Ascert has released the latest version of its Visa Test Driver. The VersaTest Visa Driver is now listed by Visa as a validated ADVT Online Host simulator and has been tested to ensure that it conforms to the most recent set of Visa specifications. This can be an extreme time saver in pre-certification or ongoing system testing. Companies using the Visa Driver have their choice of an on-premise solution, or a subscription to the popular cloud-based testing system, Ascertified (http://www.Ascertified.com). A growing number of companies have created a hybrid of both test options, thereby increasing flexibility for both internal users and external partners. Ascert's VersaTest family of testing and certification products?can assist any organization looking to add increased value to their operations. All of Ascert’s test drivers work with industry standard tools such as Jenkins, Quality Center, Docker and others. To find out more about Ascert products and standard test interfaces visit the Ascert web site or contact a local Ascert office. Ascert is recognized as a leading provider of premier testing software solutions. Ascert was founded in 1992 to provide automated software testing solutions that help companies measure the performance, reliability and scalability of their mission-critical back-end servers and applications. With over 100 clients worldwide, Ascert's products and services are used at some of the world's most successful companies. Off-the-shelf simulators for Ascert’s VersaTest product include solutions for EFT testing, POS testing, stress testing, ATM testing, Fraud testing, IFX testing, EMV/chip card testing, ISO8583 testing and 3270 & 6530 terminal testing. Ascert’s custom simulators have been used for testing air traffic control systems and biometric payment systems. Ascert delivers flexible solutions that are either customer site installed or accessed via Ascert’s Remote Testing Services. Ascert's products assist testing professionals across industry segments to better manage their testing processes and environments through an end-to-end tool set. All My Children Daycare and School welcomes families on Manhattan's Lower East Side to tour the facilities and meet the dedicated staff at their Lower East Side location. The center will be enrolling children ages 6 months to 5 years. Two open houses are scheduled - Monday, December 17th 7-9PM and Sunday, January 6th 11AM-2PM. Location is: 112 Ridge Street, New York, NY 10002. There will be open play and arts and crafts for the kids and parents can talk to the school's director and learn about the curriculum. AMC is committed to preparing young children for school and life readiness. Their safe, nurturing, eco-friendly learning environment and ethical character define their dedication to instilling within each child the skills necessary to continuously develop their own knowledge and their desire to establish a better world. Using The Creative Curriculum, Common Core standards, and Music, Movement, Drama, and Nature programs, AMC forms the foundation of their learning-centered program. Being environmentally sustainable is important to All My Children Daycare. From their furniture, toys and supplies, to the paint on their walls and their facility layout, to their Energy Star appliances, and most importantly, involving children in the process through eco-sensitive diapering, organic, locally sourced food, and daily gardening, they incorporate their responsibility to be citizens of this Earth into every aspect of their ideology. The staff looks forward to meeting parents. Kenneth Reyman and the team from Thompson Garage Doors in Reno Nevada is celebrating the companies 60 years of garage door service and growth in Northern Nevada and Northern California. Thompson Garage Doors is the largest commercial and residential garage door specialist within 100 miles of Reno Nevada. Thompson Garage Doors has been serving residential and commercial garage door customers in Northern Nevada and Northern California since 1957. “I love this team,” says Reyman. “They cover so much territory every day impeccably with same-day garage door delivery and installation and 24-hour emergency service.” Which is no small task since they cover Reno, Sparks, Lovelock, Winnemucca, Elko, Fernley, Fallon, Yerington, Topaz, Gardnerville, Minden, South Lake Tahoe, North Lake Tahoe, Incline Village, Squaw Valley, Truckee, Quincy, Portola, Loyalton, Herlong, Susanville, and Alturas. Thompson Garage Doors truly is a Nevada success story and 60 years in business is worth celebrating. The promotion will run from Monday December 10, 2018 00:01 Cuba time to Saturday, December 15, 2018 23:59 Cuba time. The promotional balance can be used for local and International calls and SMS (Including SMS entumóvil). 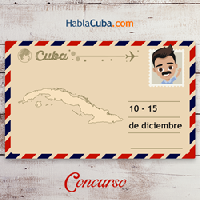 In the meantime, HablaCuba.com customers are invited on HablaCuba.com Facebook page to join a lovely contest. All they have to do is to share what they want for Christmas on HablaCuba.com Facebook page and they get the chance to win a free top up. The contest will be open until December 10 and the winner will be picked randomly on December 11. A2 Hosting, a committed provider of high-performance shared hosting, WordPress Hosting, and more, today announced that its A2 Optimized Plugin will be compatible with WordPress 5. WordPress 5 first entered beta in October, and is slated for a full release in the very near future, WordPress 5 features a complete redesign and reimagining of the WordPress Editor. The update also includes improvements to the WordPress Rest API, enhancements to the custom theme and page building experience, and an overall more intuitive experience. With an eye on simplicity, A2 Hosting provides a hosting environment that meets WordPress requirements by default. In other words, there’s no tinkering required on your end to get your site up and running smoothly (and with greater security). The A2 Optimized plugin is designed to help users easily optimize their WordPress sites for speed, security, and performance. To that end, it’s designed to automatically configure W3 Total Cache, optimizing your website with minimal effort on your part. These tools and utilities will assist A2’s clients in building the best website possible, allowing them to focus on content and branding rather than optimization. The plugin is offered free of charge, with additional features available to A2 Hosting customers. 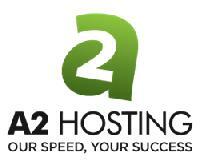 A2 Hosting, Inc. is a high-performance hosting company located in Ann Arbor, MI. A2 Hosting provides their customers with ultra-reliable solutions and 24/7/365 US-based support from their Guru Crew team. Since 2003, A2 Hosting has offered innovative, affordable and developer friendly website hosting for personal homepages up to full-service solutions for businesses of all sizes, based in all locations. Each A2 Hosting service is hosted on their fine-tuned SwiftServer Hosting platform. Customers seeking an additional speed boost can host on A2 Hosting’s Turbo Servers featuring page load speeds up to 20X faster compared to competing hosts. WordPress started in 2003 with a single bit of code to enhance the typography of everyday writing and with fewer users than you can count on your fingers and toes. Since then it has grown to be the largest self-hosted blogging tool in the world, used on millions of sites and seen by tens of millions of people every day. WordPress started as just a blogging system, but has evolved to be used as a full content management system and so much more through the use of thousands of plugins, widgets, and themes. WordPress is limited only by your imagination. ALL-TAG, a manufacturer of U.S. made RF EAS Labels, supplier of AM and RF Anti-theft Security Tags, Security Labels, and other loss prevention products recently launched a new subsidiary in Mexico City, Mexico. The office is filled with the personnel necessary to provide the exceptional support and customer service ALL-TAG customers around the world have come to expect. The warehouse is fully stocked with everything from AM and RF Labels, to hard tags and other loss prevention solutions that are ready for immediate shipment. For any vendors, product packaging companies, and consumer goods manufacturers in Mexico that source tag for major retail chains in the United States, all source tagging solutions can be supplied by our Mexico office. Taylor Norris, CEO of Custom Air Products & Services, Inc. (CAPS), today announces the promotion of George Swies as Commercial Maintenance Supervisor. George brings with him ten years of global industry experience as a certified HVAC technician. He spent ten years in the U.S. Navy as Petty Officer Swies, Machinist Mate 1st Class (MM1). He holds many certifications through the U.S. Navy, Penn Foster Career School, and Coastline Community College. George will be reporting to the division General Manager of service. Custom Air Products & Services, Inc. is a full-service HVAC company that specializes in the design, construction, installation, modification, and servicing of industrial and commercial air conditioning equipment. CAPS employees are committed to providing exceptional custom design and quality workmanship at competitive prices. Custom Air Products & Services currently occupies five (6) modern facilities, totaling 350,000 square feet in size. These buildings include administrative and engineering offices, training facilities, a filter warehouse, and service shops for fabrication, manufacturing, and modifications. CAPS services are provided to customers throughout the United States and Mexico while their manufactured products have been delivered to sites around the world. Currently, CAPS has equipment operating on six (6) continents and in 52 countries. For more information, contact Custom Air Products at 713.460.9009 or visit them on the web at http://www.customairproducts.com. If you’d like more information about this topic, please call Susan Archer at 713.460.9009 or email her at susan.archer@customairproducts.com. Landscape Development Inc. (LDI), the industry-leading landscape services company, is excited to announce the opening of a new Sacramento Division. Answering to client requests and a growing housing market, this new office expands the company’s service territory well into Northern California. Dudley Mallinson has been appointed division president, tasked with broadening LDI’s service territory and client base. The new division will offer the same core services as provided throughout the California and Nevada company network, including construction, maintenance, landscape architecture, earth services, preconstruction and design-build services. Dudley holds a graduate degree in landscape architecture from Sheffield University, England. He moved to California in 2000 to work at LDI as a project manager and was a key contributor to the steady growth of the company. Over the past 20 years, his career has spanned a truly diverse project portfolio, requiring expertise in design, estimation, preconstruction and project management. “This expansion is an exciting time for LDI and, along with recent maintenance acquisitions, marks another great milestone for the company. I am thankful for the opportunity to include the LDI brand as part of Sacramento’s continued rejuvenation and growth and look forward to seeing our trucks and uniforms all around our state’s capital,” said CEO Gary Horton. The new offices are located at 2255 Cemo Circle in Gold River, Calif., 95670. 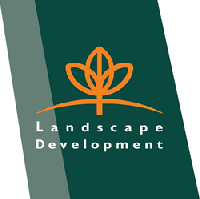 Mr. Mallinson may be reached by phone at 916-491-0858 and email at dmallinson@landscapedevelopment.com. Landscape Development, Inc. is the industry-leading, integrated site and landscape services company serving all of California. From site design through construction, protection and maintenance, we provide personal, capable solutions for your site needs. Our collaborative team turns your vision into reality. We are exceptionally enthusiastic Green Industry professionals, dedicating our careers to working on your behalf. We’re licensed architects, skilled craftsmen, erosion control technicians, and exacting managers. From design to management to emergency site response, we’ve got you covered, 24/7, 365 days a year. A Self-Directed IRA can be a powerful tax tool—provided that it is approved by the IRS. But failure to comply with certain IRS rules can result in a Self-Directed IRA becoming disqualified, which in turn can trigger a series of “bad things” under IRC Section 4975, according to a recent post at the American IRA blog. One of the most important things for investors to watch for, according to the post, is a prohibited transaction. In IRC Section 4975, a 15 percent tax can be levied on the amount involved in the prohibited transaction—on the prohibited person involved with this transaction. For instance, if someone were to sell a house from the Self-Directed IRA directly to a family member’s IRA, that family member would then see a potential tax bill of 15% of the transaction. That’s because certain family members would be “disqualified persons” related to an investor’s IRA. Additionally, the IRS would then levy a 15% tax on the transaction on the selling party—which in this case would be the original selling Self-Directed IRA. These penalties are heavy, but they are not the only penalties that those with a disqualified Self-Directed IRA could see as a result of doing bad business. That is why the article highlighted how important it is for investors to maintain best practices with their Self-Directed IRAs. For more information on keeping a Self-Directed IRA in good standing with the IRS, interested parties may visit American IRA at http://www.AmericanIRA.com or call 866-7500-IRA. 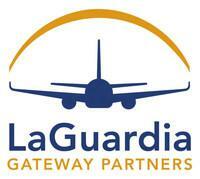 LaGuardia Gateway Partners (LGP) – the private entity operating and redeveloping LaGuardia Airport's Terminal B, announced today that it will open the first 11 gates located in the eastern concourse of the new state-of-the-art Terminal B on December 1st, 2018. LGP is comprised of Vantage Airport Group, Skanska, Meridiam and JLC Infrastructure. With best-in-class retail and food options, innovative design and family-friendly spaces and modern amenities, the new concourse showcases LaGuardia Gateway Partners' and Governor Cuomo's vision to build a unified, 21st century airport that is a leader in guest experience, innovation and sustainability. Air Canada, American Airlines, and Southwest Airlines will all operate flights from the new concourse, with United Airlines joining in 2019. "The opening of the new eastern concourse at Terminal B is just the first step in our mission to provide a top-class visitor experience at LaGuardia, worthy of the greatest city in the world," said Stewart Steeves, Chief Executive Officer of LaGuardia Gateway Partners. "Our concourse's innovative design, inclusive atmosphere, and choice food and retail options will bring LaGuardia into the 21st century, and we're proud to work with both the Governor and the Port Authority to transform Terminal B into a gateway New Yorkers can be proud of." The concourse features ample gate seating, with charging stations throughout seating areas, a nursing room, and thoughtfully designed restrooms that include spacious stalls and above sink shelves that will keep belongings dry. It also features Air Canada's Maple Leaf Lounge, with the United Club to follow in 2019. We are excited to have worked with our partners and so many subcontractors to make the opening of the eastern concourse of Terminal B a reality," said Magnus Eriksson, Executive Vice President of Skanska and Chair of the Board of LaGuardia Gateway Partners. "This collaborative effort, using innovative construction and design techniques is something that we are proud to bring to LaGuardia, and our project continues to have one of the largest Minority and Women Owned Business Enterprises (MWBE) participation goals in the New York State." New retail options available in the new concourse include the latest New York City location for the legendary New Yorktoy store FAO Schwarz, as well as offerings from SoHo based independent bookseller McNally Jackson, Hudson, LaGuardia Dufry Duty Free Shops, M?A?C, District Market – with specialty Made in Queens products – and Spa Here. These shops join the previously announced food and beverage partners from earlier this year: Shake Shack, Irving Farm Coffee Roasters, Osteria Fusco, La Chula Bar & Taqueria, Kingside Bar & Restaurant and Five Boroughs Market. Prioritizing a family-friendly atmosphere, the new concourse also features an airport themed children's play area, which includes a 16-foot interactive display. The display creates a multi-user experience that allows kids of all ages to design their own aircraft on a tablet and watch it come to life on a giant digital wall as it takes off from LaGuardia's runway. The play area is nestled next to a beautiful indoor green space, modeled after New York City's own parks, that includes greenery, benches and plenty of natural light for passengers to relax with their children and families before their flights. "Today's milestone is the result of strong partnerships and a bold vision for LaGuardia Airport," said George Casey, Chair and CEO, Vantage Airport Group. "Since 2016, we have been proud to bring Vantage's expertise in airport investment, project management, commercial development and management and operations to the transformation of Terminal B, and look forward to celebrating many more milestones that will entirely transform the passenger experience at LaGuardia Airport." When complete, Terminal B will completely redefine the guest experience at LaGuardia. Dual pedestrian bridges will span active aircraft taxi lanes – the first in the world – and connect the main part of the terminal to two island concourses. Passengers will walk above aircraft as they make their way to their gate, all while enjoying views of the iconic Manhattan skyline. In addition, this island and bridge design will increase the taxi-way space for aircraft. The gates in the concourse are "common use," meaning that any Terminal B airline can use any gate – increasing efficiency. "We're building a completely new, unified airport that will be a leader in innovation and a model for redevelopment projects across the country," said Jane Garvey, Chairman of Meridiam North America. "From advancements in technology to iconic NY shops and restaurants, the new LaGuardia is delivering for New York. Meridiam is proud to join today with LaGuardia Gateway Partners and Governor Cuomo to celebrate our continued progress at Terminal B and create an exciting future for the city." In July 2015, Governor Cuomo unveiled the vision for a comprehensive redevelopment of LaGuardia Airport. The 1.3-million square foot redevelopment of Terminal B, with a construction value of billion, is one of the largest public-private partnerships in American history and the largest in U.S. aviation. The redevelopment includes a new 35-gate terminal, a parking garage, and a Central Hall, which will unify the airport by connecting to Terminal C, which is also being redeveloped. Once complete, Governor Cuomo and LGP will have created a state-of-the-art terminal that truly celebrates the best of New York. Exclusive photos of the concourse, including the offerings and amenities available, are available at: https://sunshinesachs.egnyte.com/fl/4WJE56NBDA. A fact sheet with more information is available upon request. Press Release: Hairlossly, the hair care specific website, provides highly researched and informative blogs and articles about the best hair loss treatment products available on the market today. Hairlossly also offers attractive deals on some of the top brands available on the market today, in the women’s hair care niche. The team of hair care experts at Hairlossly provides detailed information about professional hair care products and the latest introductions in the market. The team, with their unmatched experienced in analyzing hair care treatment and solutions, then offer detailed information on such products for the benefit of customers. Apart from featuring the best hair loss treatment products, Hairlossly also has a section where visitors can find highly informative articles and blogs on the subject of hair loss and hair rejuvenation. Visitors can also find highly valuable tops for preventing hair loss and for a head full of healthy hair. Currently, some of the most popular posts about hair on the website are Signs That You Are Headed For Hair Loss, 5 Vitamins For Healthy Hair, How Hair Loss Affects Women, How To Maintain Positive Body Image While Experiencing Hair Loss and the Best 7 Shampoos for Hair Loss Prevention. There are many other such blogs and articles by some of the top experts on the subject on the website. Hairlossly also keeps updating this page with fresh content by hair care professionals, beauticians, and industry experts. One of the brands that the website recommends for dealing with woman’s hair is Keranique. It is a woman-specific hair loss treatment that’s clinically proven to help hair regrowth in women. Keranique is the featured hair regrowth product on Hairlossly. Hairlossly has several sections dedicated to information sharing on various aspects of hair care. Readers can find the best articles on the subject in their Lifestyle and Health sections. Hairlossly also has a research and therapy guide section which offers information about innovative products for the treatment of hair loss and for the best possible hair care. Hairlossly is a popular resource for those looking for information on hair loss and professional hair care products as they thoroughly research and vet hair loss products with absolute honesty and integrity. Hairlossly has emerged as a popular platform where women can discuss their needs, problems, and experiences on hair loss and hair care products. The website is committed to supporting women and wants to make them feel confident and beautiful at any stage of hair loss. Hairlossly is one of the most trusted and reliable online resources for information on everything related to hair loss treatment and hair care solutions for both men and women. The mission of this popular website is to educate, inform and inspire women experiencing hair loss and to provide them the most up-to-date product information and high quality hair tips that can help women make the right decisions for overcoming the problem. The site is known for their unbiased hair education and useful tips to improve hair health. Cybersecurity is often defined as measures taken to protect a computer or computer system against unauthorized access or attack. It includes an ever-evolving set of tools, technologies, trainings, and techniques that work together to address security threats. The heavy dependence on technology has resulted in an enormous surge in data creation which is stored on computer systems of organizations and shared across networks. Over time, the identification of vulnerabilities in this technology makes organizations susceptible to attacks by hackers. One of the biggest cyber-attacks in the IT history was the WannaCry ransomware attack that took over computers and encrypted hard drive contents. The hackers then demanded a huge ransom payment in Bitcoin in order to decrypt the data. NotPetya, which originated from the compromised Ukrainian accounting software, was a major cyber-attack that spread via the same EternalBlue exploit that WannaCry used. Equifax, the credit rating agency major, announced in July 2017 that hackers had exploited a weak link in a U.S. website application to access confidential files with personal information of millions of clients. The consequences of data breach can be devastating to an organization and can affect not only its reputation and standing in the market, but also its revenue. The projected annual damages from cybercrime are expected to reach trillion by 2021. The projected cybersecurity spending for 2017-2021 is expected to be around trillion. The frequency and sophistication of cyber-attacks are growing with time and that’s why organizations must have a strong cybersecurity system in place to ensure that their sensitive data remains protected at all times. Many organizations have become increasingly vulnerable, in part through modifying their infrastructure to accommodate applications, mobile devices, cloud computing, and Internet of Things (IoT). This has allowed cybercriminals to take advantage of any vulnerability they can find. It is becoming increasingly clear that traditional rule-based, reactive security methods cannot offer adequate and effective protection against today’s modern, persistent, AI driven, and creative cyberattacks. The best way to provide comprehensive security is to use a defensive in-depth approach which should include advanced full-service, AI-driven Managed Detection and Response (MDR) services. Cybersecurity measures involve ensuring security of applications, database, infrastructure, data, network, endpoint, cloud, mobile, and others. The security of these can be breached by cyber threats such as malware, phishing, and ransomware. Cybersecurity is addressed by creating a series of defensive measures around a definite perimeter. However, the latest industry trends such as ‘Bring Your Own Device’ (BYOD) and work from anywhere have resulted in broadening the scope of attack. Even with many organizations allocating and spending huge sums on increasing the levels of security, breaches are happening at a rapid pace across the world. Human-centric cybersecurity that’s built on behavior analytics is the latest in this domain and focuses on changes in human behavior. The principle is based on the identification of behavioral incongruities so that grave threats can be identified, investigations can be concluded quickly, and detection times reduced drastically. Powersolv, a premier Information Technology Services Company and one of the leading providers of Enterprise Solutions to Federal, State, and County entities as well as Local and Not-for-Profit Agencies, works with some of the biggest names in cybersecurity to provide intuitive and robust security solutions that enable organizations to detect, respond, and manage these highly evolved cyber threats. Powersolv, working with its partners in Cybersecurity services, has become a disrupter in the security industry by introducing smart, crowd-sourced security testing through a comprehensive platform that covers every element of cyber risk. Clients are able to anticipate potential attacks and mitigate them by using a groundbreaking AI-Driven Managed Detection and Response system, designed to take down even the most sophisticated threats. With these strategic partnerships, Powersolv offers their clients a comprehensive solution that’s fully managed and involves the use of the best resources. The solutions are designed to provide robust protection to all the vulnerable areas of business operations by incorporating the best software, processes, and human intelligence. Powersolv is a serious player in the cybersecurity domain, offering solutions that provide the highest level of protection from all threats. The security platform, with active collaboration with their partners, places the protection of all sensitive data assets of clients at the core of their objectives. If your business data and digital assets are at risk from cyber-attacks, you can trust Powersolv to provide customized solutions to cover all bases and help your business activities to go on uninterrupted. Powersolv, Inc., founded in 1995 and headquartered in Reston, VA, is a Microsoft Gold Partner and a CMMI Level 3, ISO 27001:2013, & ISO 9001:2015 certified premier IT Solutions and Consulting Services company. Powersolv specializes in offering Enterprise Technology, Business Process, Infrastructure Management & Cloud services to address the growing Information Technology demands in the public sector. They supply best of breed technology services with a proven commitment to excellence delivered with superior customer service. To learn more about Powersolv, visit www.powersolv.com or call directly at (703)-230-5500. After many years of unbeaten services, Ben and Steven Cawiezell (twin brothers) are slightly shiffting their focus into creating even more jobs for the vastly growing remote sales industry. Remotesalesreps.com offers a platform for entrepreneurs, and business owners to recruit the best remote sales reps on the market. For sales reps, it’s an amazing platform to get hired and find the perfect sales environment to thrive in. Remotesalesreps.com has recruited thousands of work-from-home sales professionals crossing hundreds of industries and that list is growing daily. There is a strong appeal for work-from-home job positions but few of them offer the earning potential that most sales opportunities present. RemoteSalesReps.Com was originally launched in 2011 as HireACloser.Com which specialized in recruiting, training and managing remote high-ticket sales teams, mostly focusing in the coaching and software industries. The driving factor behind the initial launch was that any talented sales rep with a phone and online access could easily earn 6 figures from the comfort of their own homes. Hire A Closer was a great success but was limited by the number of teams they could manage while trying to scale. This is when the Cawiezell Brothers decided to make the move to the recruitment model (Remote Sales Reps) allowing them to connect more amazing opportunities with top level talent. “We are a global economy and with the overwhelming rise of virtual companies, there is no reason to limit your talent selection. We are trying to create organization in the chaotic remote sales job market.” Ben Cawiezell states during their upcoming launch. Remote Sales Reps takes the heavy lifting off hiring for a sales position with so much appeal that job posts are often completely saturated by 1-CLICK applicants who do not qualify for the position on any level. Remote Sales Reps is only interested in delivering long-term candidates for companies. On the same note, Remote Sales Reps is only accepting job opportunities that they believe their service could find quality candidates for, no affiliate offers and no opportunities that do not offer some kind of lead source. Remote Sales Reps revolutionary platform helps business owners, recruiters and hiring managers to reach the strongest remote sales representatives on the market. Remote Sales Reps mission is to connect top remote sales reps with stable job opportunities. With over a decade of recruiting, training and managing remote teams all over the world, they have a strong understanding of what it takes to build an effective team. Remotesalesreps.com is working deligently to find the best talent for you from various sources as per your need. Powersolv Inc., the premier Information Technology Services Company and a reputed name in providing technologysolutions to various clients at Federal, State, County level as well as to Quasi Federal, Not-for-profit, and Local Agencies, has announced that they have successfully completed their Surveillance Audit 2 for ISO 9001:2015 & ISO 27001:2013 certifications. Surveillance Audit is an audit conducted within specific time frames on organizations that have been awarded ISO certificationsto ensure that they continue to maintain the standard and statutory requirements. The audit is conducted every year by an external auditor. The successful completion of the Surveillance Audit 2 has allowed Powersolvto proudly claim to bean ISO 9001:2015 and ISO 27001:2013 certified company. It also reflects their high level of commitment to providing the best quality IT services and solutions to their clients. For certifications to be allocated and remain valid, organizations are required to demonstrate their adherence to the stringent quality and security measures, customer service processes, and statutory requirements. Established in 1995, Powersolv is a CMMI Level 3 and a Microsoft Gold Partner Certified Information Technology Services provider with its headquarters in the Washington DC Metro region. Powersolv specializes in offeringsoftware development and systems integration, and business process improvementservices to address the growing information technology demands in the public sector.They supply the best breed of technology services with a proven commitment toexcellence delivered with superior customer service.They areone of the leading players in Enterprise Technology, Business Process, Infrastructure,Management& Cloud Services. The company also offers a wide range of other key services underthe IT domain such as Database Management, Legacy Systems Migration, Technical Support, Staff Augmentation, Network Infrastructure, and Enterprises Mobile Solutions. Don’tPayAll, a well-known faster-growing online retailer is a proud company that delivers the best promotional campaigns, coupons, deals & discounts from all over the world brands to the customers for the best shopping experience. Dealing on this venture since years, it has brought up long lists of all New Year Coupons and Discounts for the users to shop newly with saving money. The company has recently listed many FRESH OFFERS to wow its users. The company has officially listed numerous offers and discounts of various businesses and making its users aware of it so that shopping becomes easy with New Year savings. Don’tPayAll is a renowned online coupons & discounts retailer that has not only confined itself to the tenets of a promotional campaign. Instead, it has put up a high emphasis on bringing major hot deals and latest voucher codes from over three-thousand online suppliers. It has built a vast medium where the users can easily find numerous promotions and voucher codes truly given by the best reliable partners and members. The owner of the firm believes that exponential exposure of business very much depends on how well and justifiably the offers and discounts are being provided to the users keeping trends and occasion in mind. Don’tPayAll also added some top products’ offer and discounts that have been launched by the company in the time of New Year 2018. The owners of the company duly stress on the fact that the services provided are scalable and highly efficient. As expected, more and more deals, offers, hot deals, coupons, & discounts have already appeared and still the process is going on. The existing users are excited shopping with New Year’s deals as they are getting excellent opportunities of saving money. On the contrary, some new people are becoming familiar with such timely offers and which is why Don’tPayAll is continuously listing up more & more New Year deals and discounts. With these cheap offers and latest deals, the first-time users can easily shop with few clicks and earn money as savings. Don’tPayAll is committed to providing the best discounts, deals and offers to their users. That is why it continues to surprise their users and first-time users by giving latest yet fastest exciting deals and offers to shop endlessly. Relevance, a reputed and leading top-ranked content promotion publication followed by top marketers and B2B businesses of the world, has featured the e-book, ‘The 5 Most Influential Topics for B2B Marketing’ on their website. The marketing experts at Relevance are of the opinion that this book will help marketers remain steadily focused on their priorities. The content is available in the form of a podcast hosted by Bernie Borges, CMO at Vengreso, and co-hosted by Dayle Hall, Senior Vice President of Marketing, Lithium Technologies. ‘The 5 Most Influential Topics for B2B Marketing’ is a must-read for marketers passionate about success in online marketing as it touches on all the relevant and hot topics associated with selling online today. Each podcast focuses on topics that are highly relevant for B2B marketing today. Episode 1 in this podcast is: Influencer marketing is dead. All hail marketing to influencers. Here, the experts discuss how B2B influencer marketing has become one of the most poorly understood concepts leading to creation of poorly planned programs and negligible outcomes. Influencer marketing is a great idea that can deliver amazing results when executed properly. However, user generated content is the best. In the future, it will be customers and influencers who will drive campaign ideas and programs. Episode 2 is titled – Data Overload: How do you harness it? There is a huge inflow of data today and immense pressure on marketers to use them. However, it is important for marketers to make use of the right data to get their marketing strategy right. Lack of the right people, processes, and technology makes them lose their way. That’s why integrating transactional, social, and behavioral data is important. Episode 3 covers the topic: Digital Customer eXperience is the new battleground. Brands that put the wants, needs, and expectations of customers at the heart of the brand experience are assured long-term customer loyalty. Episode 4 deals with ‘The state of social engagement 2017’. Brands must find a holistic and simplified way of listening, responding, and engaging over multiple channels simultaneously to gain greater visibility and accountability. Episode 5 is titled – A love story: When sales and marketing get aligned. It deals with one of the biggest challenges of organizations, which is also one of the biggest opportunities. Relevance.com believes that marketers can definitely improve their prospects by downloading this e-book and following the tips and recommendations offered by experts. It is a sure-fire recipe for success for marketers, provided they make use of the informative gems that the experts have shared. Relevance is the fastest growing content promotion publication in the world. It is one of the most reputed and trusted platforms across the world over for insights, resources, trends, and information associated with content marketing, and more particularly to content promotion. For more information, visit www.relevance.com. By adding thousands of coupon codes and discount codes every week, Don’tPayAll is forging ahead as a leading coupon website in the market. This web store features much more. There are daily deals in almost all categories one can think of. Zappos discount coupon codes are enticing customers to buy the latest in men’s and women’s shoes, kids’ clothing, and more. The use of digital coupon codes is witnessing an exponential rise. Customers buying on the net are lapping up coupon codes in millions. According to an estimate, a little more than 300 billion coupons were distributed in 2012. With companies floating more digital coupons and a greater share of buyers using them, the traditional paper coupon seems to be slowly edging out. Companies are trying to be smarter than competition by making it easier for consumers to locate coupons. 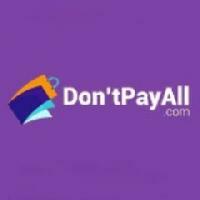 All one needs to do now is visit websites like Don’tPayAll, a virtual one-stop shop to get any coupon deal under the sun. For example, integrity botanicals coupon offers discounts on numerous skin care, body care, and hair care products containing natural or organic ingredients. Digital coupons are offering merchants’ more flexibility in their deals. They set limits on the validity of the coupons, on how many times a consumer can use a coupon, and also discontinue the deal when the promotion kits its target limit. “Retailers are smart when they offer coupons”, says a stay at home mom. “I am always fastidious when I choose to apply these”. Shoppers seem to be smarter. “A company stands to lose its credibility if its coupons are not functional”, says a spokesperson for Don’tPayAll. Don’tPayAll seems to be going out of its way in ensuring coupons displayed in its website are functional. “We take the utmost care by pre-verifying all coupons for its functionalities,” assures Don’tPayAll. A good percentage of millennial, Generation Xers, and baby boomers are now extensively using digital coupons. Nearly 25 million Americans are using mobile coupons applications every month. But there seems to plenty of scope still for the digital coupon industry to expand. According to a report, US shoppers have not yet completely switched over to digital coupons. Even by adding up the mobile coupon offers and increase in discount apps, only half or 50% of the US population are using online coupons. With Don’tPayAll offering an enormous collection of ready-to-use coupons, we may well see a gradual but definitive increase in coupon code users. Don’tPayAll, a registered trade mark of BOGO COMPANY., LTD is a top firm in the coupon trading market. It provides a huge assortment of active coupon codes and deals from thousands of reputable brand names from across the globe. Don’tPayAll seems to be riding the wave of popularity by presenting customers with the broadest array of coupon codes in the market. The enticement includes Amazon discount coupon codes from one of the world’s top website retailers; coupon codes from Nike, Sears, Swarovski, The Gallery Collection, Vans, and more. Thousands of retailers today are offering special coupon codes that straight away give buyers a flat dollar off, hefty percentage discount, or free shipping. "Consumers wait for sweet deals”, says an online retailer of apparel. “My store has bargain offerings round the year”. The internet is toting up the ease for thousands of buyers across the world. All they have to do is type the name of the store or a brand in a search box and click on the link. It has become a fashion for people to brag to their friends how much they have saved by using coupon codes. But there are rare events when coupon codes fail to deliver. The offering may have expired or it may simply not be functional for various reasons. Don’tPayAll is instilling confidence among buyers by reiterating that the coupon codes on their websites are fully reliable. “We source coupon codes with abundant care”, says a spokesperson of Don’tPayAll. “They are all pre-verified so that online users won’t find them non-functional”. To reinforce confidence, Don’tPayAll assures customers that its dedicated and highly skilled staff consistently strives to present them with the hottest deals in the market. The claims of Don’tPayAll appear convincing. DontPayAll.com has a record number of subscribers and affiliates. The website has 50000+ retailers and is still going strong. “Our website has already logged in more than 100 million visitors looking for hot deals and special offers from an enormous collection of business verticals”. Bargain deals are coming in a variety of approaches. The consumers can make use of store-wide percentage off coupon codes, set dollar off promo codes, free shipping coupon codes, clearance only codes, or BOGO codes ( buy one-get one free). Don’tPayAll with its inclusive offerings is saving a lot of time for consumers looking for store flyers. One quick glance at Don’tPayAll website will convince buyers why it is the best in the market. “For that bridal dress I wanted to buy, Azazie promo codes got me good deals”, says a steno. With Don’tPayAll continuing to offer thousands of coupon codes every week, it is happy shopping for consumers. Don’tPayAll, is a top firm in the coupon trading market. It provides a huge assortment of active coupon codes and deals from thousands of reputable brand names from across the globe. With over 9000 free coupon codes and discount codes added this week, Don’tPayAll is establishing itself as a leader in the coupon code market. Retailers, both the brick-and-mortar and the online variety, are using various strategies to make consumers spend money. Gone are the days when catchy slogans and promotional signs were the chief enticers. Today, there are more temptations. The online coupon codes are coming across as a simple, yet powerful, enticement for shoppers to lap up bargain deals. “I never pay the full price when coupon codes are around”, says an administrative assistant of an IT firm. “I have been using American apparel discount coupon codes whenever I buy summer wear for my family”. It is no wonder retailers know the mood of buyers. “Coupon codes are an excellent way to track and measure my advertising return on investment”, says an online retailer of shoes and clothing. “With coupon codes of Zappos, I get to know the exact sales each of my campaign generates”. But coupon codes are not always god-send promises. “I have experienced plenty of bad ones – mostly expired coupons”, says an avid online shopper. Such experiences have been echoed by thousands of buyers. While the online coupon industry is continuing to grow, so are problem coupons. Fortunately, Don’tPayAll is assuring consumers that all the coupons listed on its website are genuine. “We source our coupons after plenty of care. All are verified previously to ensure they are functional”. Don’tPayAll, the leading coupon code website has a massive collection of ready-to-use coupons. It boasts of having on its roll 10 million members. According to a spokesperson of Don’tPayAll, this website has offered hot deals and special offers from more than 50000 retailers across all segments. The USP of Don’tPayAll is they never put up fake and outdated listings. Big money is flowing to several companies in the online coupon industry. Yet, for a consumer, the byword is reliability. Don’tPayAll, luckily, seems to be instilling confidence in consumers. The website has logged in 100 million visitors and going strong. According to a survey by CCG Catalyst, 45% of millennial use coupons. It is just not the budget conscious that use coupons. Nearly 28% of affluent households’ shoppers in the United States contribute to the increasing use of coupons. With a forecast that 1.6 billion coupons will be delivered annually to consumers by 2020, the future for Don’tPayAll appears sunny. Don’tPayAll is a top firm in the coupon trading market. It provides a huge assortment of active coupon codes and deals from thousands of reputable brand names from across the globe. Don’tPayAll is inviting companies to list their coupon codes on its website and help consumers save money. Coupon codes are continuing to be a key strategy for online merchants to pull in new customers and retain the old ones. “Who does not want to save a few bucks by applying coupons?” says a Dallas housewife. “I always look for American apparel promo codes while shopping for a hoodie for my dog”. American Apparel has perhaps one of the largest garment factories in the United States. Its collection includes even canine wardrobe items. Simply put, Don’tPayAll by listing coupon codes is making it easy for shoppers to find bargain deals. This leading coupon code website is listing coupons from popular stores such as Udemy, Walmart, Sephora, Stereo, Vans, and more. “SAS shoes are a favorite of my family,” says a sales rep of a pharmaceutical firm. “We always look for SAS shoes sales coupons for that bargain deal”. Don’tPayAll is a one-stop window for coupons. By adding thousands of new coupons every week, it is making available to consumers hot deals and special offers from thousands of online merchants. Its user-friendly interface is remarkably easy for online shoppers to navigate and search for coupons they want. “We are different from other coupon traders”, says a rep of Don’tPayAll. “We put a great deal of effort while selecting coupons from vendors and affiliate marketing networks”. The remarks from Don’tPayAll seem reassuring. The website asserts that they pre-substantiate the coupons to ensure their credibility. “It can be a frustrating experience to apply the coupon code at the last leg of our buying process and find it isn’t working”, says a college sophomore. But coupon codes may not work for several reasons. There could be exclusions, restrictions, or the user may not have entered it correctly. Don’tPayAll is making it convenient for shoppers to regulate their online spending. “Even though good deals are abundantly available online, promo codes must be obtainable at the click of a few buttons”, says an avid online shopper. Don’tPayAll is doing this very well. The website has daily deals, cash back stores, and top coupon codes from practically all categories of stores. 100 million visitors to Don’tPayAll possibly cannot be wrong. Don’tPayAll is building its presence even stronger with subscribers and affiliates crossing the 10 million mark. Don’tPayAll, a registered trade mark of BOGO COMPANY LTD., is a top firm in the coupon trading market. It provides a huge assortment of active coupon codes and deals from thousands of reputable brand names from across the globe.